Contemporary abstract œuvre. 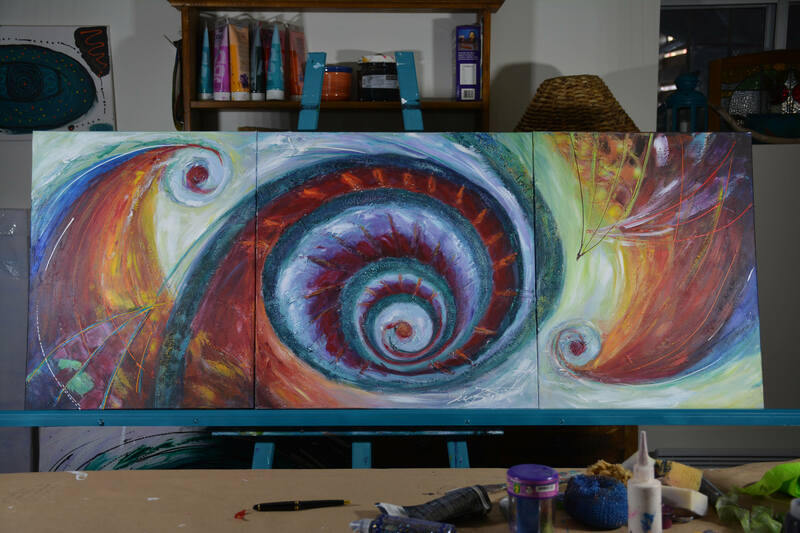 Triptych, acrylic on canvas.
"" Dimensions: 52L "X 20 h"
Are some prints available ? Y es, many fo my artwork are available on my Society 6 Page.